Is it really October already?! Ah! I better get my kids costumes figured out. To celebrate the first day of October I am going to share a favorite treat in our house. 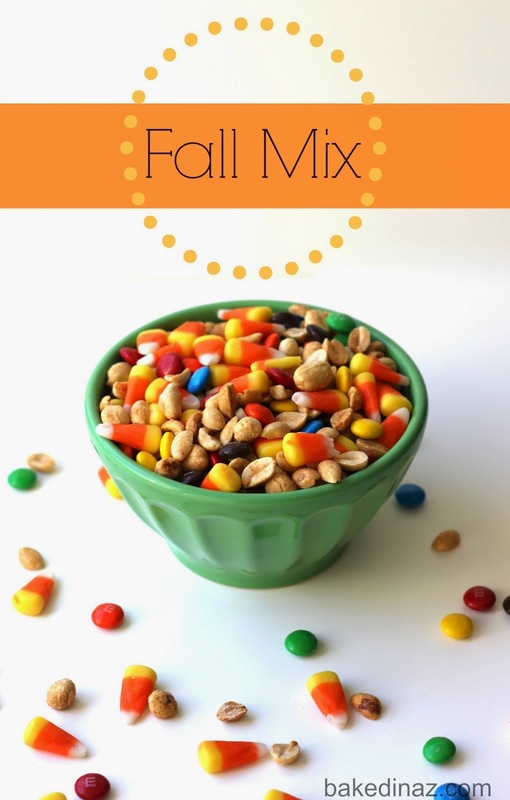 Years ago my friend Kristen S. told my family about her favorite “fall mix”. 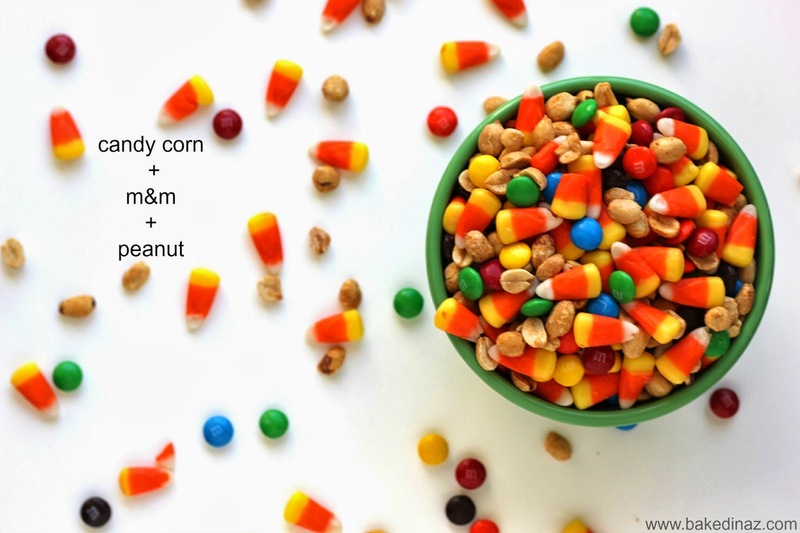 I normally don’t eat caramel corn alone but in this mix it is perfect combo! Now if you are wondering why you don’t just use peanut m&m’s I can’t really tell you except that it’s not as good (in my opinion). Something about the peanut and chocolate being separate just tastes better. If you make a batch and don’t want to be tempted to eat it all, pack some up in a cute jar and take it to a friend who is having a bad day. It is sure to cheer them up. 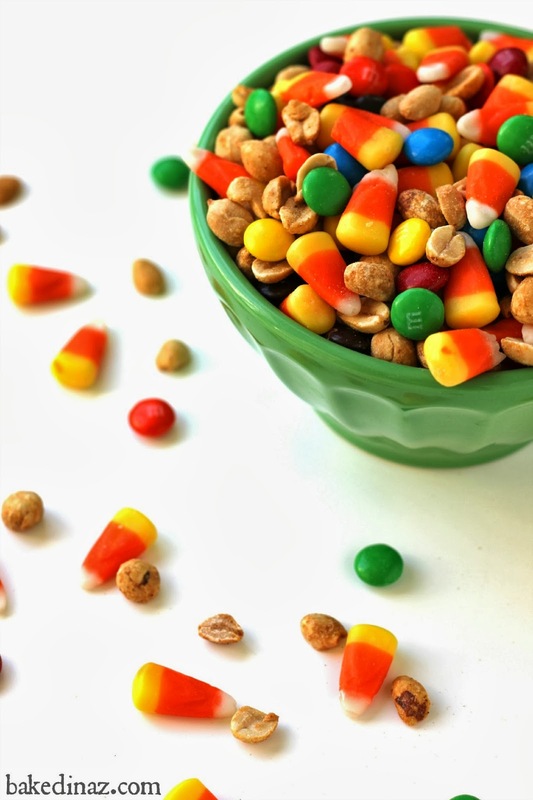 Great mix to have in your candy dish. Savory and sweet! Mix together in a bowl and enjoy! 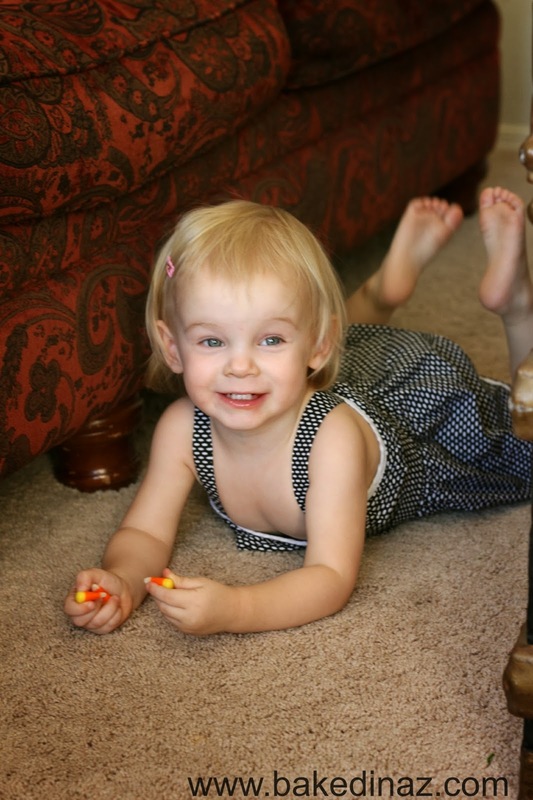 I think I am going to have to hide the mix when this little girl is awake 🙂 She just discovered candy corn and as you can tell, is a big fan. Oh my heavens, your daughter is so cute! This mix looks SO GOOD!! Love it! Thank you so much for sharing at Saturday Night Fever! Pinning now!